We believe that translating your website should not involve coding skills. Newsmag lets you translate all the strings which are present on the front end of your website. 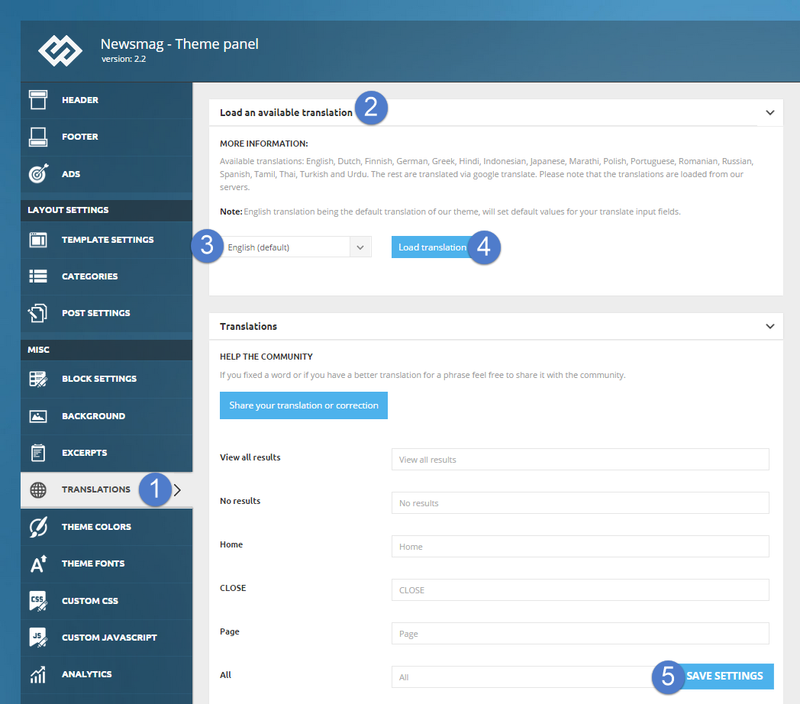 The translations panel was completely rebuilt, and the theme comes already translated in a dozen of languages. Note: The theme is capable of loading already-made translations for 90 languages. Most of them are submitted by our users, and if you find a mistake you can always submit a correction with one click. We would like to thank the community that submitted translations and corrections. We are very glad to have such an amazing community, and we are always doing our best to release awesome stuff! Select the desired translation from “Choose a language” dropbox and click on the “Load translation” button. The Translations panel automatically opens to let you see all the strings which are about to be translated. You can adjust each string if necessary.